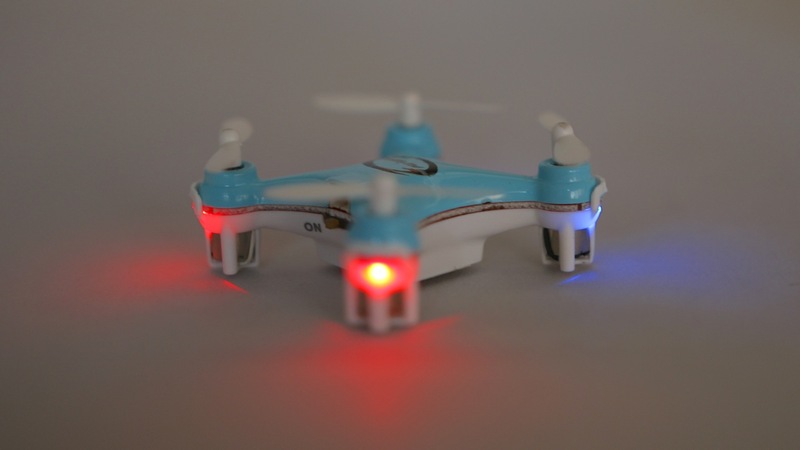 At just 40mm wide the Blaxter X40 looks very much like a small toy model with a bunch of blinking LEDs and very unlikely to actually fly. 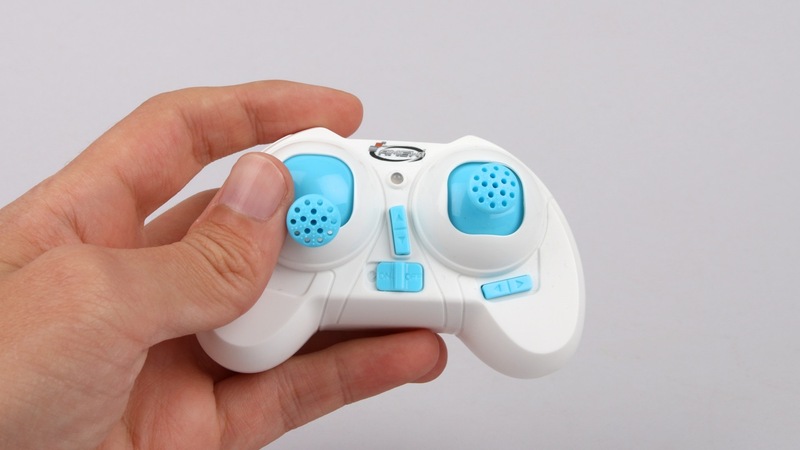 The kids’ hand-sized remote control adds to the whole impression of a non-functional mockup. So the surprise is all the bigger when the little guy actually takes off. It’s a real quadcopter! 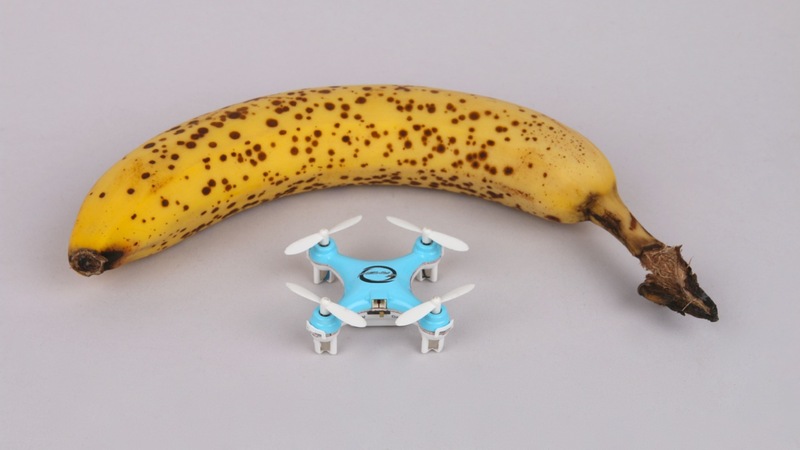 The Blaxter X40 has everything a quadcopter needs: a rechargeable battery, a flight controller with 6-axis gyroscope for stabilization and a four channel 2.4GHz remote control. It looks like a quadcopter, flies like a quadcopter and is controlled like a quadcopter, almost. There are a few missing features in comparison with bigger models such as the DJI Phantom. There is no GPS and therefore also no position hold, but this is not a real issue as you are not not flying very far away and mostly indoors anyway. A bit heavier weights the absence of a pressure sensor for automatic altitude hold. The trickiest part in flying the Blaxter is managing the altitude with the flimsy throttle stick on the remote control. The remote controller is just slightly larger than the Blaxter X40 quadcopter. It contains full 4 channel 2.4 GHz with is flimsy to operate due to its size and subpar build quality. The second tricky part in operating the Blaxter is to decipher the manual in order to understand how to calibrate it and do more advanced tricks. The manual contains English words but they just make no sense. The Blaxter can make flips in the air with a special command. During flight, a short press on the throttle stick in combination with a quick movement of the other stick to any extreme position (left/right/top/bottom) triggers a 360 flip in the air. Do the normal startup sequence, move the throttle stick to the top then to the bottom. Blaxter quickly blinks and is ready to fly. Move the throttle stick to the bottom left, and the other stick to the top left corner. Wait and watch the copter blink for calibration. Done. Your Blaxter flies stable again. I use the calibration quite often. I think the trim buttons are useless and only the calibration can make my Blaxter fly stable again. The Blaxter X40 comes with red and blue lights. Nevertheless, the Blaxter X40 is a lot of fun for flying around indoors in your house or at the office. 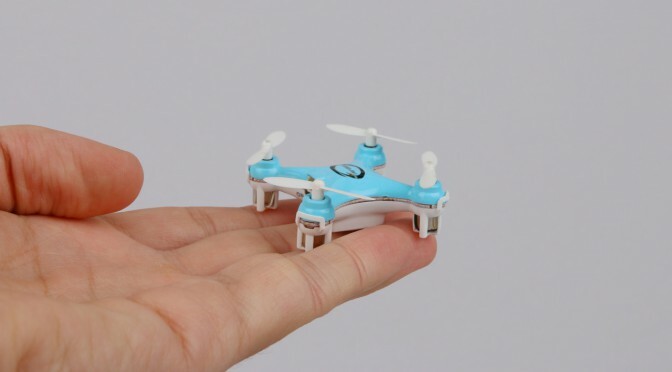 Gentle hovering, acrobatic flips and speed races are all possible with the tiny little copter. Just keep in mind, the guy needs a bit of practice to control it. One of my flight apprentices managed to cut his face — nothing severe but you don’t want to have the blades in your eyes! Always fly safe and away from people. The Blaxter is crash resistant, comes with replacement blades, which I haven’t used so far and is a lot of fun to fly. Its a full-grown tiny quadcopter.